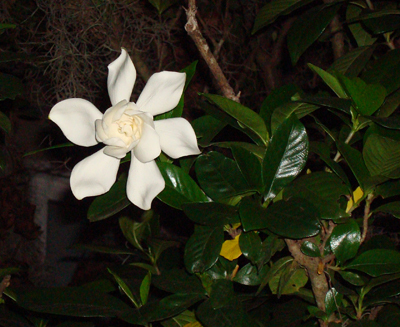 I love Gardenias (though I have no interest in pinning one to the side of my head) I enjoy their sweet aroma. Just after sunset I happened to capture this near perfect bloom in our backyard. By morning, the heat had zapped it…grateful to have seen it in its moment of glory.